Cmart342 - McClung va Awesome product "I couldn’t tell you the last time I bought regular anti freeze. 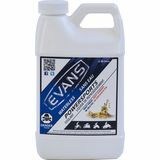 I like Evans run it in all my bikes"
lankydoug - Missouri good investment "This has such a high boiling point and doesn't build pressure like a water based coolant you're less likely to have a failure or boil over especially in a hare scramble bottleneck or tight technical sections when you go a while with little to no airflow on your radiators. It's expensive but is worth it."